Movie fans have never had it better: we can stream movies when and where we want, watch them in technology-laden cinemas and enjoy them in eye-pleasing ultra HD thanks to the magic of Blu-Ray technology. And, just as Professor Brian Cox and D:Ream sang in 1994, things can only get better! Gaming fans have been getting excited about virtual reality for a while now, with the Oculus Rift – a set of virtual reality goggles that let you experience games as if you were in them – leading to quite a few squeals of excited delight. 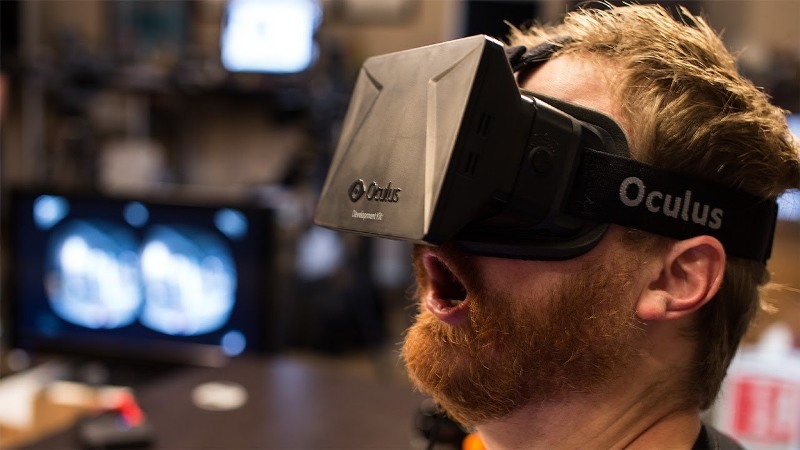 Prepare to join them: we might be able to watch movies in virtual reality too! Oculus, who were recently bought by Facebook for $2bn, are currently working to reproduce real-world environments that viewers will be able to explore as if they were there (check out this trailer for Zero Point, an Oculus Rift film), while a company called Jaunt are producing prototype VR cameras. When you think about it, the cinema is a bit of a boring night out. You spend a fortune to sit in the dark, eat popcorn and watch a film that you might not even enjoy. It’s no wonder less people are going. That could be about to change, however. Cinemas offering ‘experiences’ along with a movie are cropping up throughout the globe, with experiences ranging from sitting in a recreated set from the film to simply letting people quote along to their favourite film without fear of being kicked out by a burly bouncer. It could even extend to parts of the film being played out ‘live’ as you watch; Radiohead’s Jonny Greenwood recently performed the soundtrack to There Will Be Blood as the film played at London’s Roundhouse. What would a blog post about the future be without at least one mention of the Cloud? You’ll soon be able to buy films and have them sent directly to your preferred cloud storage account so that you can watch them anywhere you like. A simple idea, but a good one. If you scroll through Twitter while watching The X Factor, you’ll already know what we mean. Second screen viewing is essentially a way to ‘enhance’ your experience of a movie using a tablet, phone or any other smart device. While a film is playing, you’ll be able to view director’s notes or view the action from a different camera angle on your device. Have you ever watched a film and felt upset that it didn’t end the way you wanted it to? Then you’ll love this innovation. Apparently, we’ll soon have biometric sensors that can read our emotional state as we watch a film and adjust it accordingly. And by adjust the film, we don’t just mean make it slightly brighter; we mean changing the actual film itself. If you’re feeling sad, you’ll be given a happy ending. If you’re angry, you might get a sad ending, and so on. That might sound far-fetched, but it’s already been done by a film called Many Worlds. This could even extend to changes as we watch a film. A character you respond negatively to might be killed off, while a secondary character who you like might get promoted to hero status. Get ready for the future: sell your unwanted DVDs for cash with musicMagpie now.